Where do planets download music? Neptunes! What goes zzub zzub? A bee flying backwards! What goes thump, thump, thump, squish, thump, thump, thump, squish? An elephant with one wet shoe! Laugh your head off with 300 jokes, riddles, knock-knocks and tongue-twisters taken from the whopping chuckle archives of National Geographic Kids Magazine! 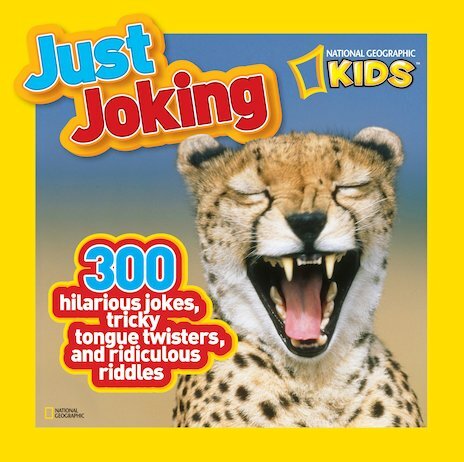 You’ll find laughing animals, funny people and other colourful photos paired with the jokes on every single page. Fantastic funnies and the coolest pics in one fun-filled book to toss into your backpack and share, either in the schoolyard or around the campfire. Go wild and laugh yourself daft with National Geographic!